Your donation to Chris Ferris & Dancers is tax deductible. 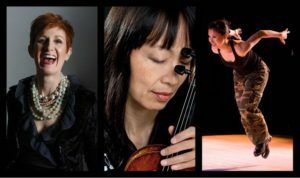 Violist Leanne Darling is moving to Buffalo in June so we've put together a final show featuring her solo looping compositions for viola, improvisation duos with violinist Helen Yee, original songs by special guest cellist Leah Coloff and our favorite Tritticali tunes at Scholes Street Studio in Williamsburg, Brooklyn. It will be a celebration of Leanne's contribution and of all things Tritticali. We hope you can make our farewell New York show, and as always thank you so much for your support all these years!!!! 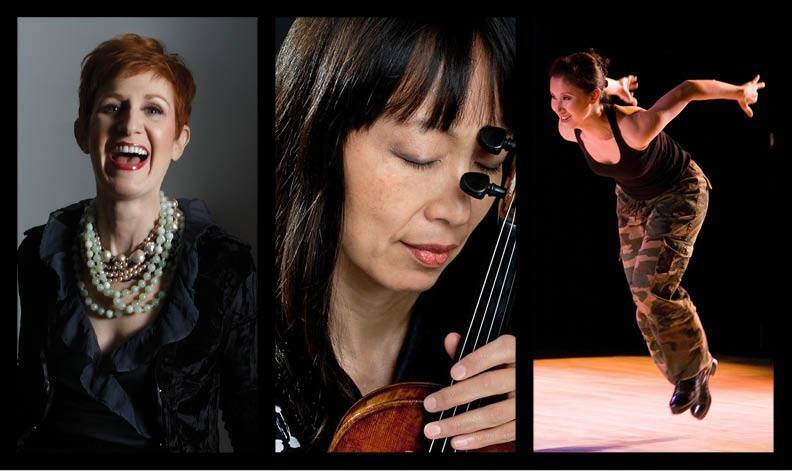 What happens when you put a tap dancer, a violinist and a vocalist together? A spontaneous sonic landscape... And a lot of fun! SONIC MUSES will perform improvised music in the Tenth Annual Make Music New York extravaganza. RAIN or SHINE under the Guastavino Arches. FREE event.